The Bandits in the Bad land called, Patikul. AFP file photo. 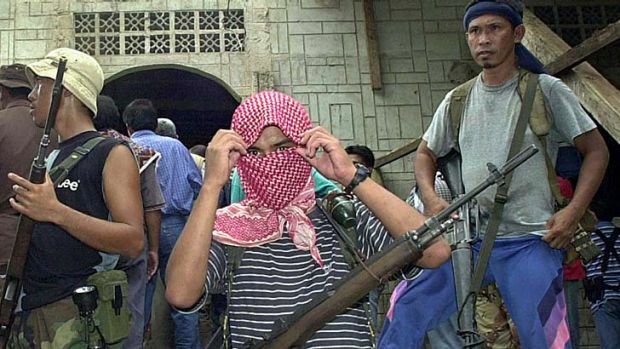 Jolo, Sulu [08.16.16] – A female public school teacher of Tuup Elementary School was abducted five five armed men believed to be members of Abu Sayyaf Group this morning in Sitio Kampuli, Barangay Kanague, Patikul town, a report said. The victim was identified as Edrina Manalas Bonsil. She was on her way to Tuup Elementary School when the abductors took her forcibly while on board a public utility vehicle [Toyota Tamaraw] at 8:00 o clock in the morning. Bonsil was kidnapped by ASG operating in Patikul area under the Tanum group of Jul Walton and Darmin, the source said. No ransom demands issued yet to the immediate family of their captive as of posting time, the report ended.